The best way to guard against identity theft is to take care of your personal information. Imagine getting a $7,000 phone bill for a cell phone you don’t own. Or receiving heat and electric bills for an apartment where you don’t live. That’s what could happen if you are a victim of identity theft. Never carry your Social Security card or birth certificate in your wallet. Keep them in a safe place at home. Furthermore, don’t give your credit card or Social Security information over the phone unless you initiate the call and know to whom you are talking. Also give your Social Security number only when absolutely necessary. Ask if you may use other forms of identification. Keep documents with personal information safe, including credit card and check card receipts. Shred them when you dispose of them. Also, before you reveal personal information, find out how it will be used and shared with others. Reduce the number of credit cards you carry. Keep an emergency phone list of credit card companies to contact in case your credit cards are lost or stolen. Open and read all financial statements and bills (by mail or eStatement) as soon as you get them. Look at transaction activity. If you see any transactions you did not make, notify the financial institution or biller in writing. Order your credit reports and check for fraudulent activity at least once a year. 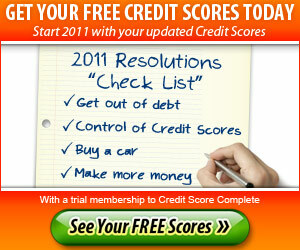 Visit annualcreditreport.com* to request a free credit report. You’re entitled by law to a free copy of your report from each of the three major credit bureaus once every 12 months. If you are the victim of identity theft, the Federal Trade Commission (FTC). Visit the FTC’s web site at consumer.gov/idtheft to learn more about this crime and how to prevent it.